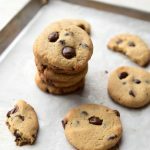 These are the BEST CHEWY LOW CARB KETO Sugar-Free Chocolate Chip Cookie you will ever need or want! Creating that traditional tender inside, chewy bite of a sugar and gluten filled chocolate chip cookie, I thought was simply out of reach. I’ve been working on this recipe for years, quite literally. 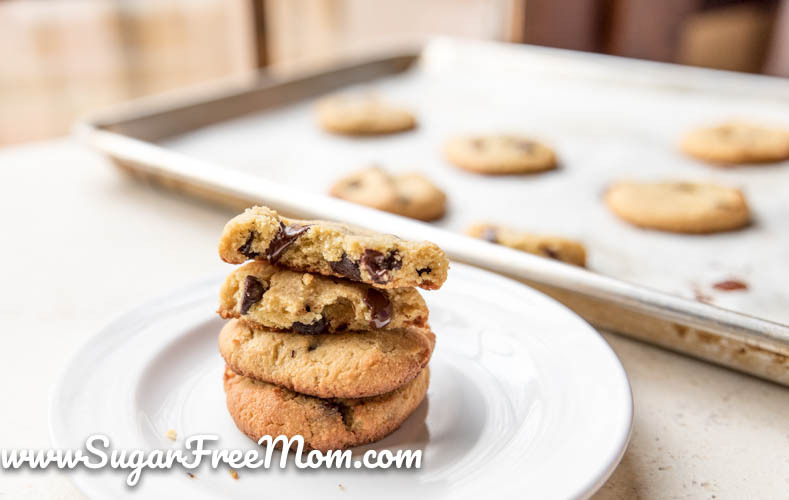 I’ve researched what makes the best the chocolate chip cookie and found 3 important elements that need to happen to achieve perfection of a low carb sugar-free cookie and I’m sharing the secrets today! 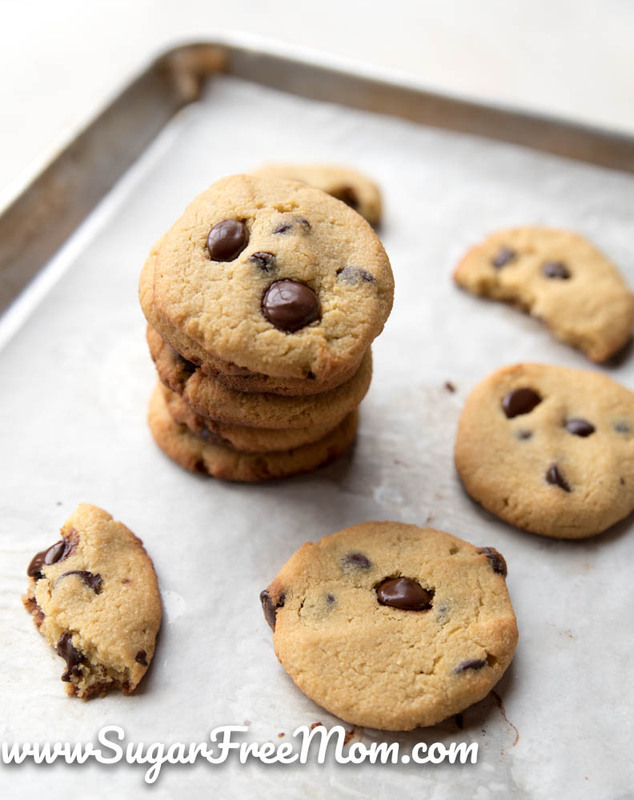 Number One important inclusion to the perfect chocolate chip cookie? You need extra egg yolks. 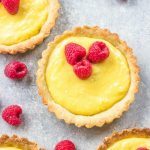 Additional Egg yolks provide more fat than just using eggs alone which helps create a smooth and creamy texture that is undeniably what may have been missing in my past attempts. Number Two? You must CHILL the DOUGH for at least 2-3 hours. This is hard to swallow because who really wants to wait that long when you’re craving some cookies? In a traditional recipe using gluten, the chilling allows the gluten strands to relax. Chilling the dough also gives the flour time to rehydrate, especially helpful so our cookies won’t be dry. My recipe makes 30 cookies. Bake a dozen, prepare the rest and freeze them! When you want some cookies just pull out the already perfectly shaped little cookies and bake! The FINAL most important part of making a gluten free, low carb, sugar free cookie get that “bite” to it that just really can’t be beat? The secret ingredients is………drum roll please……… GELATIN POWDER! 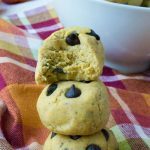 For some reason the gelatin powder helps the low carb flour I’ve used in this recipe, have that chewy factor I felt was always missing in other cookies. Gelatin of course is used in most jelly type desserts but when you add it to these cookies it helps bind. 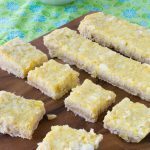 It acts like a glue, almost like gluten would act in a recipe which creates this chewy texture! Place the first 7 ingredients together in a stand mixer and blend on high until well combined. Add the next 5 dry ingredients to the mixer and blend until combined. Stir in the chocolate chips by hand. Form a ball and wrap in plastic wrap. Using about a tablespoon of batter, make 30 balls of dough. Flatten them and place on a parchment lined baking sheet. You can bake 1 dozen and freeze the remaining cookies between parchment paper in an air tight container. When you're ready to bake preheat the oven to 350 degrees F and bake for 18-20 minutes. Cool and enjoy! I've made these cookies without the tahini and instead used an additional 1/2 cup of the sesame flour. With that change you would be able to get 30 total cookies instead. My hubby stated they were more cake like and loved them. I prefer the addition of the tahini and feel it creates more of that chewy bite. If you don't have a nut allergy in the family feel free to use almond flour in place of sesame and a nut butter of choice in place of the tahini. I've also made these without any cream cheese and again felt while they were good cookies, they were more cake like. The cream cheese adds more fat and more of that texture. You could replace with a dairy free cream cheese if needed or possibly try coconut cream in its place. UPDATE: Dec 2018 I added 1 tsp of baking soda and these expanded nicely and are more chewy. If you like a dense more like a chips ahoy cookie don't added the baking soda. 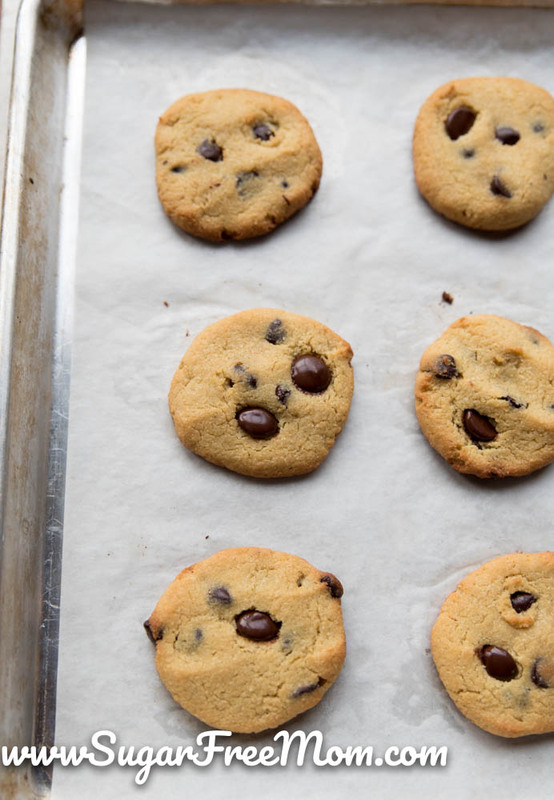 If you prefer a chewier cookie, add 1 tsp of baking soda when you add the baking powder. Please note that using baking soda with sunflower seed butter or tahini will cause a chemical reaction with the natural chlorophyl from the sunflowers and sesame will turn the inside of the cookies green. I wondered since I have been on keto I have not fond a recipe for a good crspy cookie. Are these those soft kind??? Crispy on the outside tender on the inside, perfection! Is there a substitute for beef gelatin to give the same effect? I’ve not found a sub for it no sorry. I did use xanthan gum the first time I made them but they still did not get that chewy texture I was looking for. I’m sorry I don’t have a sub for that at this time, you can eliminate it and the cookies will hold together but won’t be chewy. Just to clarify, I could use peanut butter and almond flour and get the same results? I need a cookie in my life! 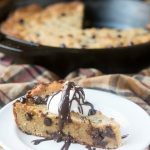 How do you describe your skillet cookie ( I believe it was one of your top recipes of 2017)? You’re one of my favorite bloggers!!! Yes I believe you could use peanut butter instead of tahini, but just know tahini has a more mild flavor as opposed to peanut butter. Yes to the almond flour for swapping with sesame. I’ve done it a few times with good results. My skillet cookie is dense like a pie. A reader had commented she turned that recipe into 36 cookies and was happy with the results but for me when I tried it I felt the cookies were too cake like. I adapted these cookies from that skillet pie recipe. I just made these cookies to ship across the country, and I am thoroughly impressed. 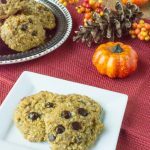 I bake a lot and these are the best low carb chocolate chip cookies I’ve made. For those interested, I substituted almond flour, and used erythritol. My cookies flattened and spread quite a bit in the oven, which was awesome. They’re golden brown and extra crispy around the edges. Indistinguishable from ordinary cookies in appearance. I doubled the recipe and divided it into thirds to add in 1 cup of macadamia nuts and 1 cup of pecans to two thirds. It worked out perfectly and the cookies really are very good looking. I just made these so I haven’t found someone on a normal diet to taste them, but I think they’re great. They’re surprisingly stable and can be removed from the parchment paper still warm, which is crazy tasty. Once they’re chilled, they don’t seem to be fragile at all- I have high hopes these will make it to Virginia without crumbling. This is probably the first time I’ve made a recipe straight off a website with no needed tweaks. They’re perfect right out of the gate. Thanks for sharing! I’m happy you love them like I do! I just wanted to clarify, did you use erythritol in place of Swerve? I don’t bake often and just wanted to make sure I got it right! Swerve is erythritol, it’s just the name of the brand used. I’ve not tried that substitute but if you do please let me know how the texture is. I really think the beef gelatin is what makes these crispy on the outside and tender on the inside. 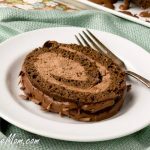 Have you tried the xanthan gum instead of gelatin yet ? I have used it but unfortunately it didn’t provide the same results as using the beef gelatin. I made these cookies but used almond flour. They are a great consistency and are good right out of the oven. This is the first chocolate chip low carb sugar free cookie that I have made that tastes yummy right out of the oven and after they cool. Thanks Brenda. Which brand of dark chocolate do you use? I have a nut allergy and I cannot find a sugar-free dark chocolate without “may contain” warnings. The chocolate chips are the Lily’s Sweet brand. It does say processed in facility that processes nuts. Sorry! My son can have this product. Question, I have Great Lakes Collagen (green can). Is this the beef gelatin powder? Not exactly the same thing. Gelatin is the cooked form of collagen. 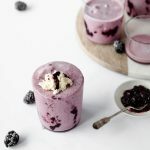 With collagen you can add it to cold drinks and it dissolves immediately, but with gelatin you need to add it to hot water typically and it gels up pretty quickly. I wouldn’t add gelatin powder to something I’m drinking because it would gel up and be off putting to drink. All that to say, you could try collagen in these cookies and it wouldn’t hurt the texture but the gelatin powder is why I believe these cookies have that outer crispness and inner tenderness. Do you use xylitol at all for your recipes? I am wondering is its ok to? I actually don’t, but I many many people do and love it. Amazing cookies!! They taste like chocolate chip cookies with none of the annoying cooling effect I usually get with swerve. They freeze really well and are good eaten frozen. Truly the best – thank you! I have a son that’s allergic to sesame and they are to take these cookies to school where they don’t allow nuts. Is there any other flour I could use in place of sesame or almond? Have you tried sunflower seeds? But baking powder and baking soda have a chemical reaction with the chlorophyll in the sunflower seeds making them turn green, so just leave out those ingredients. You can’t find sunflower seeds as meal anywhere but you can make it if you have a food processor, just blend the seeds on high. Let me know if you try it and how it works for you. Also do not use salted or roasted sunflower seeds, just raw. I used ground pumpkin seeds instead of sesame and guar gum instead beef gelatin. The kids approve 100%! Can I substitute white flour 1:1 for the almond flour? My family doesn’t like almond flour and we don’t need gluten free. Would I then leave out the gelatin since the flour has gluten? Sure you can use that and leave out the gelatin yes. Can unflavored gelatin be substituted, or does it have to be Beef Gelatin? All we have over here is Pork Gelatin. You can try it and let me know. I’ve not swapped the beef gelatin with unflavored gelatin. Can I use all purpose flour that is gluten free? 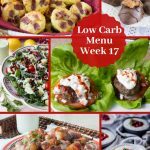 Great value..
you could but then it would not be low carb or keto. 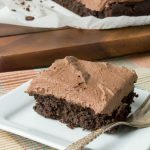 Can the batter be chilled for an hour and a half and get the same results? 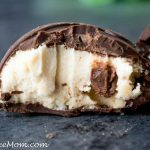 I love this recipe but I am so impatient! I am still getting the cooling effect from the Swerve, do you know of a way I could lessen the amount and increase the stevia drops? Still best cookie I have found on low carb ;-). I think you could do that, let me know how it works for you! Thank you! I am on the only one doing keto in this house and all recipes make batches of stuff. How would you store keto cookies afterwards and how long would they keep? Can I put them in the fridge? You could freeze or refrigerate them. Can you use coconut flour and if so how much? Thank you! So I’ve made these cookies, and they’re amazing!!! But I’m confused about the nutrition facts. At the top, it says servings: 24 @ 2 cookies. Which seems to imply the batter should make 48 cookies total. But then step five in the directions, it says make 30 balls of dough. So at two grams of carb per cookie, is that when you make a total of 30 cookies or when you make a total of 48 cookies? Thank you for questioning it, I forgot to change that after I had made them several times. I wanted larger cookies so I made 24. The nutrition info is correct. Can you use coconut flour? If so how much? Thank you! Also, a substitute for Tahini? I have a son who has nut and sesame allergies. Thank you!